Prodromal syndromes often begin in adolescence — a period of neurodevelopmental changes and heightened stress sensitivity. Research has shown elevated stress and cortisol in individuals at clinical high risk (CHR) for psychosis. This cross-sectional study examined relations of age and pubertal status with cortisol and self-reported stress in healthy controls (HCs) and CHR adolescents. It was hypothesized that the relations of age and pubertal stage with cortisol and stress would be more pronounced in CHR youth. Participants were 93 HCs and 348 CHR adolescents from the North American Prodrome Longitudinal Study (NAPLS). At baseline, measures of stress (Daily Stress Inventory — DSI), Tanner stage (TS), and salivary cortisol were obtained. ANCOVA revealed increased DSI scores with age for both groups, and higher DSI scores in CHR adolescents than HCs, with a more pronounced difference for females. Contrary to prediction, with age controlled, HCs showed greater TS-related DSI increases. Analysis of cortisol showed no significant interactions, but a main effect of age and a trend toward higher cortisol in the CHR group. Correlations of cortisol with TS were higher in HC than CHR group. Stress measures increased with age in HC and CHR adolescents, and DSI scores also increased with TS in HCs. The results do not support a more pronounced age or TS increase in stress measures in CHR adolescents, but instead suggest that stress indices tend to be elevated earlier in adolescence in the CHR group. Potential determinants of findings and future directions are discussed. ABSTRACT: Although memory can be hazy at times, it is often assumed that memories of violent or otherwise stressful events are so well encoded that they are effectively indelible and that confidently retrieved memories are almost certainly accurate. However, findings from basic psychological research and neuroscience studies indicate that memory is a reconstructive process that is susceptible to distortion. In the courtroom, even minor memory distortions can have severe consequences that are partly driven by common misunderstandings about memory — for example, that memory is more veridical than it may actually be. Source: Nature Reviews Neuroscience 14, 649–658 (2013). By Joyce W. Lacy and Craig E. L. Stark. 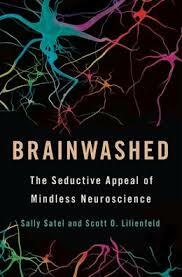 Brainwashed: The Seductive Appeal of Mindless Neuroscience, a new book by psychiatrist Sally Satel and psychologist and professor Scott O. Lilienfeld, argues that current real-world applications of neuroscience may be misguided and even harmful. The book goes on to consider current neuroscientific capabilities, their uses, and, crucially, their limitations. Satel is a resident scholar at the American Enterprise Institute for Public Policy Research, a lecturer at Yale University School of Medicine, and a practicing psychiatrist. Lilienfeld is a clinical psychologist and professor of psychology at Emory University. Writing on WBUR’s “Cognoscenti” blog, retired judge, Harvard Law Professor, and CLBB faculty member Nancy Gertner warns of the difficulty—and importance—of finding an impartial jury for the high-profile Whitey Bulger trial. Jury selection for the trial began this week in Boston; opening statements from prosecutors and defense are expected Wednesday, June 10. U.S. District Judge Denise Casper told a first pool of 225 potential jurors that they would not be excluded simply for having heard or read something about the case—restrictions that would be very difficult to meet given what Gertner calls the “saturation publicity” the case has received. 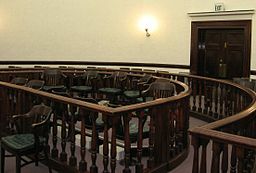 Rather, the court will look for jurors they believe capable of putting aside what they’ve heard and relying on what they learn in the courtroom. Two additional pools of 225 potential jurors were also to be brought in, and all were to fill out lengthy questionnaires; a selection will also be questioned individually. Twelve regular jurors and six alternates will be chosen. Writing for WBUR, Gertner emphasized the importance of private, rather than group questioning. Bulger, the reputed former leader of the Winter Hill Gang, is accused of a long list of crimes, including participating in 19 killings. Authorities say he committed the crimes while he was an FBI informant. Now 83, Bulger became one of the nation’s most wanted, and most notorious, fugitives after fleeing Boston in 1994. He was captured in Santa Monica, California, in 2011. Gertner also joined WBUR’s “Morning Edition” to discuss the “extraordinarily difficult process” of vetting potential jurors. Listen below.